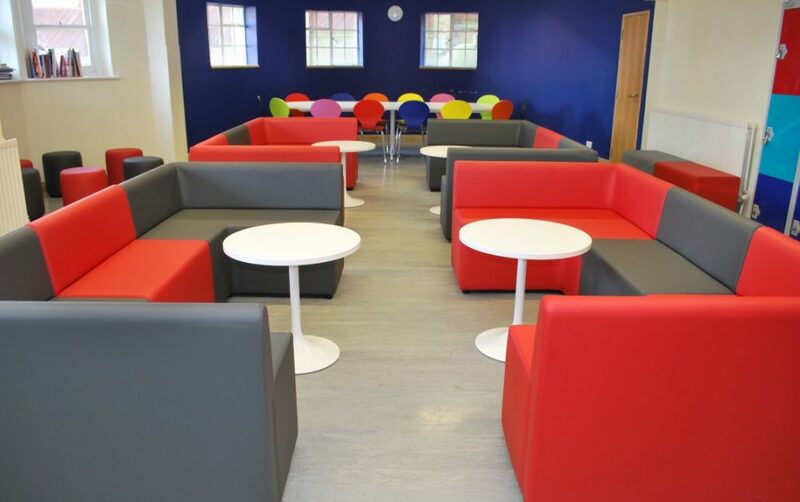 Immanuel College, an independent school in Bushey, Hertfordshire approached the design team at Spaceist to come up with a furniture package for a refurbished Sixth Form Centre. 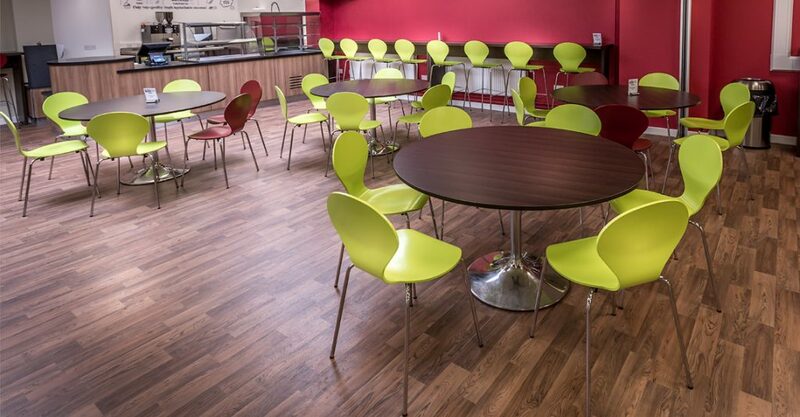 The small college required a robust and agile furniture package that would suit a range of key factors. Firstly, as the space was small serving around 50 users and it was key to ensure the items fit without cluttering the room. Secondly, the form of the room meant it presented a slightly awkward shape, needing pieces that could fit comfortable into the corners and against the curved wall. Working with these in mind, we supplied a specially tailored furniture package meeting the clients needs for the Sixth Form space. The refurbishment of the Sixth Form Centre at Immanuel College included a vibrant feature wall and colourful lockers. 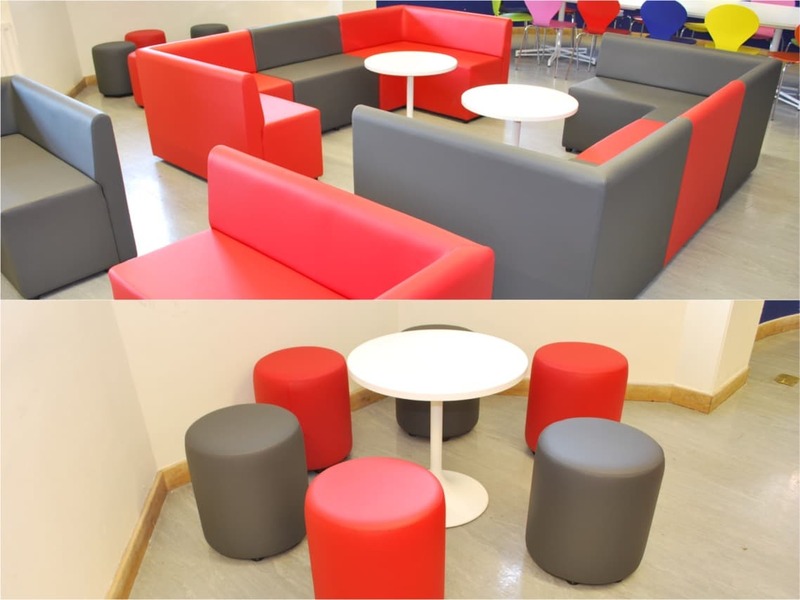 In order to present an attractive environment that would stimulate learning, we continued on to add colourful accents into the furniture package we created. The brief outlined two zonal areas; a soft seating zone and a study zone. 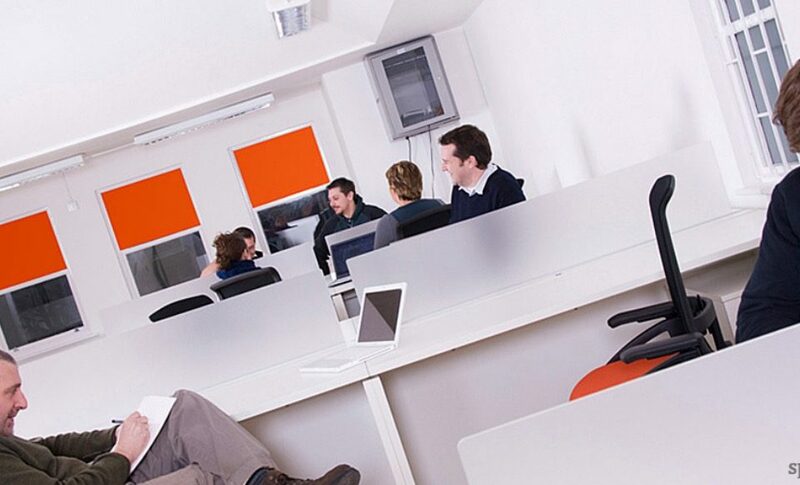 The ideal option for the space was to create modular seating booths in the centre of the room. 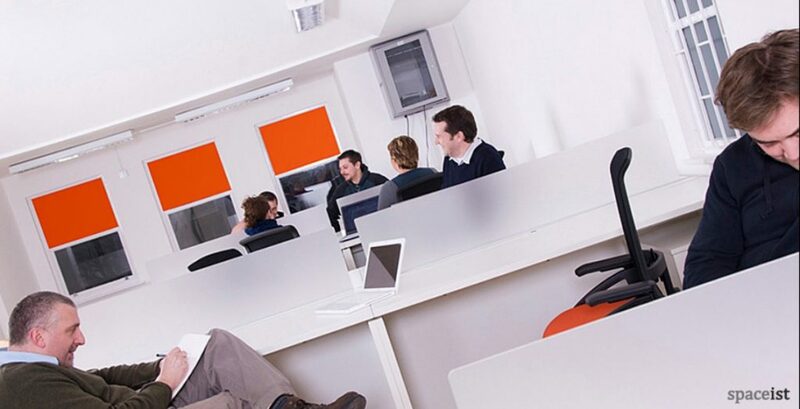 Our most flexible, versatile and customisable range, the Modular cubes were selected for this option. A vinyl upholstery option creates a strong and easy to maintain surface, whilst the wide selection of colour options makes it ideal to create a matching palette with the school colours. The square booths have been applied along with trumpet tables for support. These are small and highly durable adding a simple table option. 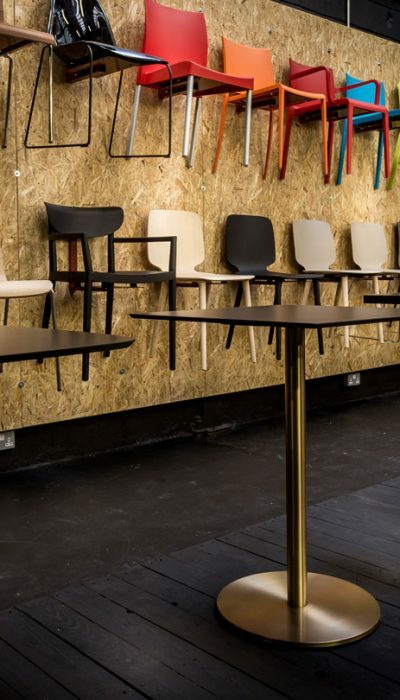 A range of extra seating options, from a soft bench to small individual round modular stools add additional soft seating outside of the central area. Applied to the smaller corners of the room, they create additional space for group study and recreation without disturbing the overall dynamics of the room and nor creating a cluttered feel. The space by a back wall that is slightly curved was the area highlighted for the specific study zone. 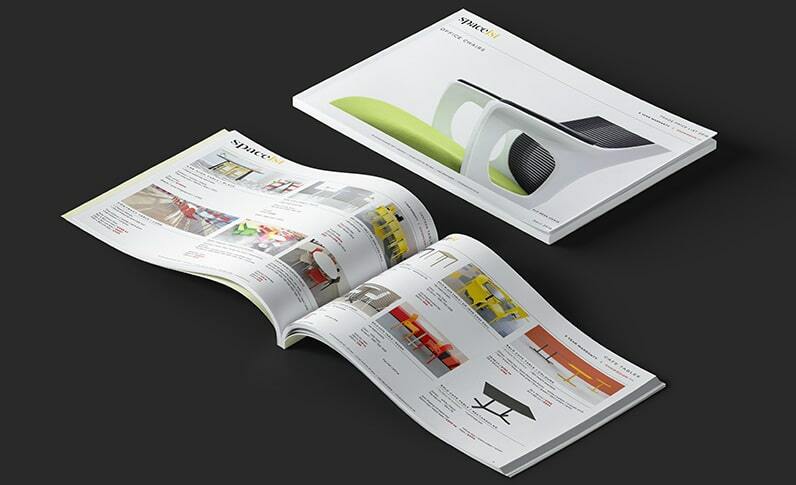 To enhance the use of this space and allow maximum users to access the table, we selected the X table. 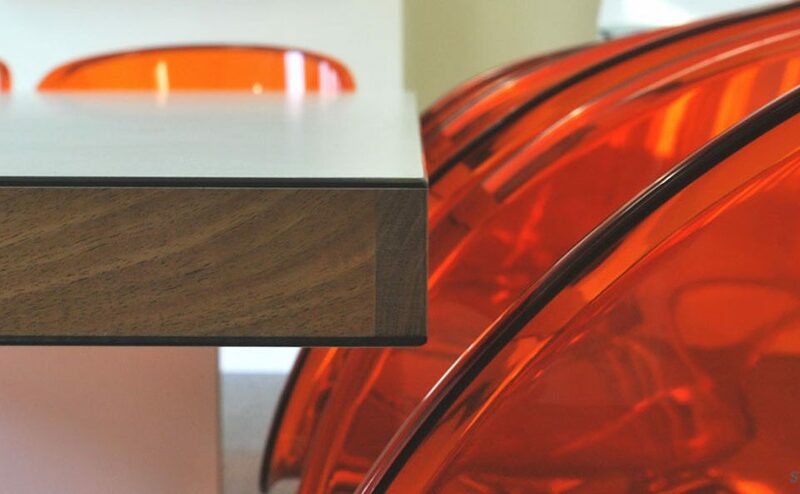 Hard wearing with a sleek and practical form, the rounded ends means more chairs can be placed around the table and corners will not hinder movement due to the curved wall. To match the colourful palette, the Ondo chair was chosen. 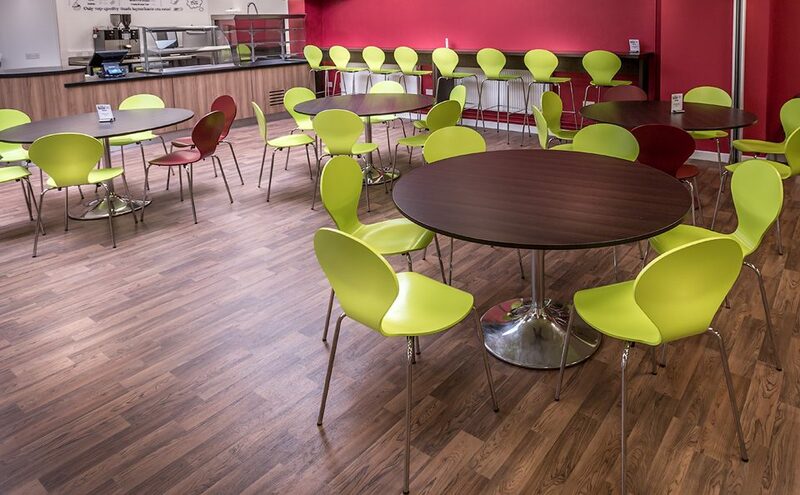 A highly versatile contract seating option ideal for a number of interior from cafés, public spaces and especially schools, it comes in a wide range of seat colours. 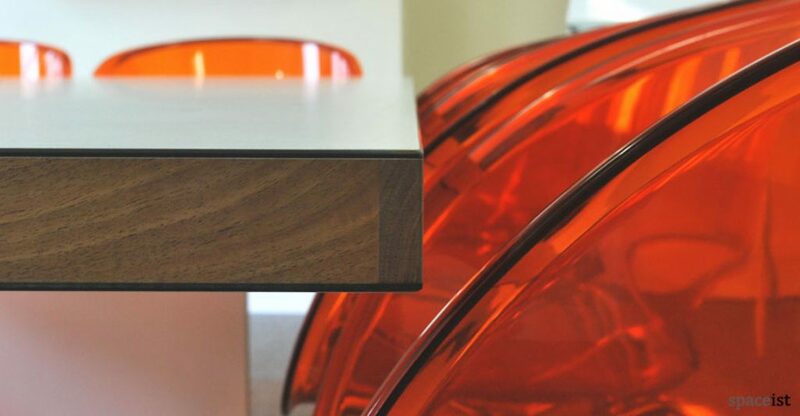 The durable lacquered finish means it will sustain its appearance against general wear and tear and can be stacked away for cleaning or if space is a high commodity. The final result is a neat and practical layout for a busy school Sixth Form Centre. The functional zones address individual needs for a space to study and a space for recreation without obstructing the other. 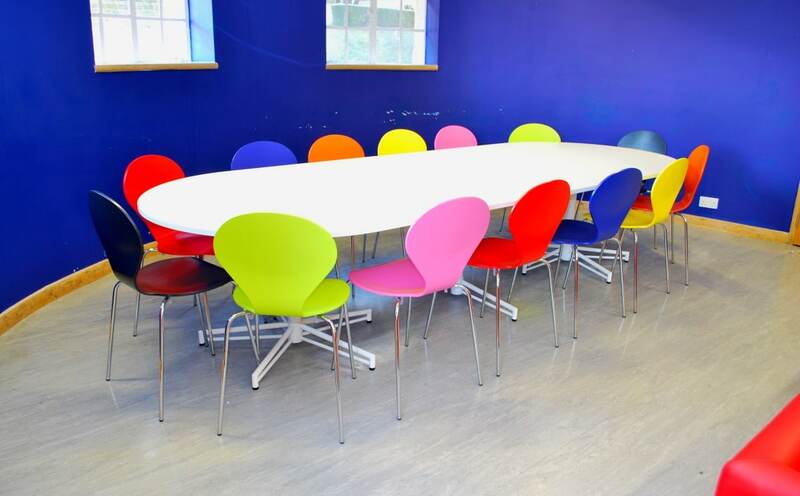 Added advantages of the products selected include the flexibly to assign specific colour preferences and end up with a fun and space for students and teachers at Immanuel College.